AppCamp Kosovo, the mobile application competition was one of the best and biggest challenges that I faced after starting to learn Mobile Applications Development. 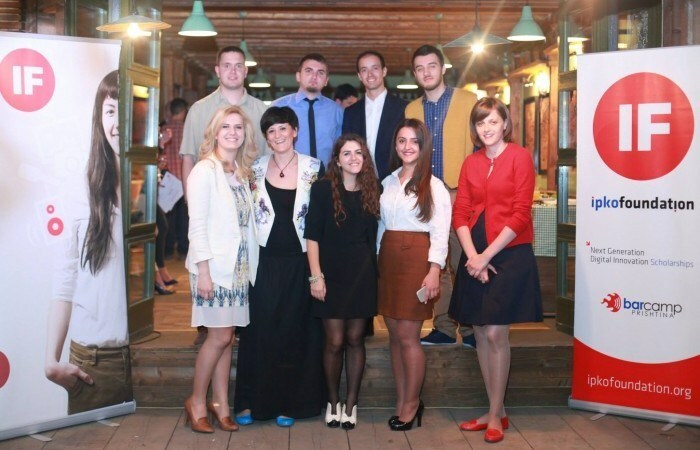 Together with my team we participated in this competition with an Android Mobile App called “Prishtina Street Style”. All the latest fashion design trends can be seen by using this app and is one of the great ways of representing our way of everyday lifestyle not only to domestic users but also to the international visitors of our country. This app won the National Competition for Best App at “App Camp Kosovo 2012”, organized by IPKO Foundation, and supported by Kosovar Foreign Ministry, Norwegian Embassy, British Embassy, British Council Kosovo, Innovation Centre Kosovo, as a part of Kosovo’s digital diplomacy. It was a great experience with many challenges during the development process for which we had the total support from IPKO Foundation till the day of publishing the app, for which we are very grateful. IPKO Foundation is one of the best environments for young and inexperienced youngsters. The best thing that you can get is the satisfaction you feel while working. The ability to directly influence and help a weaker section of society is extremely rewarding. You’ll know you’re creating positive change, and that’s a great source of mental peace. You get to improve greatly on your networking abilities and your organizational skill set.You get to work with people from several different backgrounds who are united in their passion for a particular cause. I’m proud that I was part of IPKO Foundation and involved in different social tech events like BarCamps, Wiki Academy Kosovo, Community boost_r etc. During this period of time together with an amazing team we came up with very innovative solutions in different areas in order to be able to create the biggest impact with the least amount of resources. The best part of IF is that you also get the chance to participate in different and very important conferences and other activities where you meet a lot of new people and get a lot of new useful experiences. This interesting fact about IF is that once you get involved with one of the ongoing projects you will always get attached to the ones in the future. The goal of IF is to seed and support the development of the next generation of leaders with a digital vision for Kosovo. This is pretty much it, because I love everything that has to do with changing the community using the power of technology and IF rocks in this area.